Try out a perfect app for girls Baby Pet Doctor! Pet mommy gives birth soon and she needs your care! Help her to be healthy, beautiful and happy! How to play: Choose a mommy pet: dog, cat, panda. 1. Give her food she wants; 2. Make bath procedures: soap, wash and applicate a cream; 3. Put on a nice dress; 4. Bring her to a hospital, if she feels pain: measure blood pressure, make injections and rub the belly. 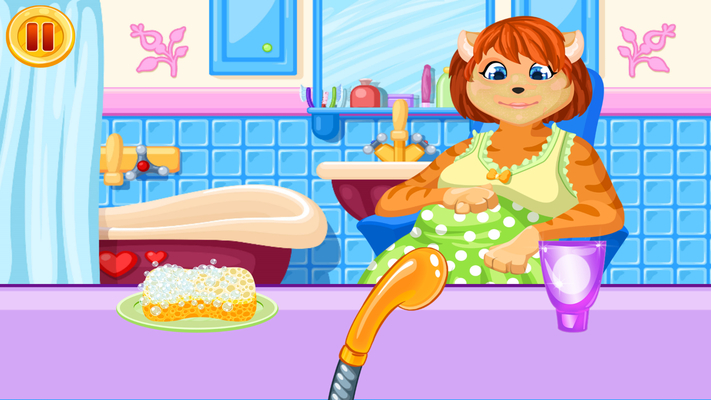 Enjoy a baby's birth with mommy pet! Baby Pet Doctor features: - cute mommy pet care game for girls; - three mommy pet characters: dog, cat, panda; - healthy care of future mommy: feeding, bathing, dressing, treatment; - amazing colorful graphics. Make mommy pet happy in a perfect pet care game Baby Pet Doctor!